We are proud to have contributed as a silver sponsor to a successful International Symposium on Tunnel Safety and Security (ISTSS 2016). The symposium took place from 16th to 18th March, 2016 in Montréal. 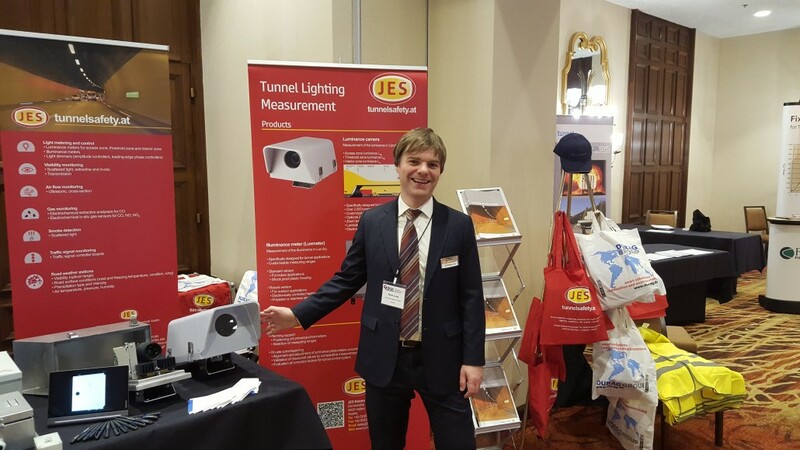 JES presented its products to an interested audience at the exhibition in the conference foyer. Following the conference there was a visit of the Ville-Marie tunnel and the Integrated Traffic Management and Control Centre of the region. The Integrated Traffic Management and Control Centre was completely renovated in 2014, the Ville-Marie tunnel and the Viger tunnel will undergo renovation in the coming years. For JES the ISTSS 2016 was the first appearance on the North American market. Our products attracted a great number of planners and contractors. We are looking forward to more tunnelsafety.at in North America!